ProEnc offers projector enclosures for commercial solutions, so anything that is not in someone’s backyard. This is due to the higher, detailed specifications of the commercial projectors from manufacturers such as Barco and Christie. Who would use projectors for outdoor commercial use? Bars could offer promotions utilizing a projector to display the adverts on to a neighbouring building’s wall, providing they have permission. Hotels can use the exterior of the hotel to promote restaurant and accommodation availability. Theme parks using projectors around the theme park to provide a better guest experience and to update them on hourly shows. Restaurants using their parking lot to advertise their menu specials. Projectors used for commercial use. 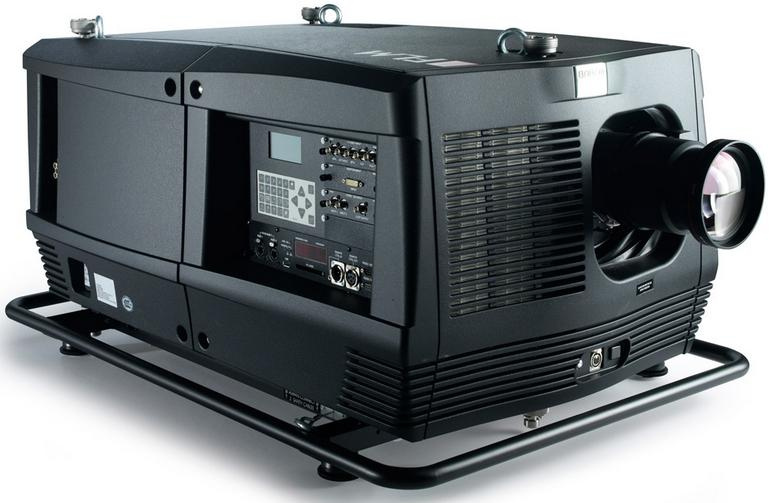 The best commercial grade projectors have either the badge of Barco or Christie, these are the Rolls Royce of projectors are used for high end outdoor cinema solutions. The size of the projectors range from 10,000 to 50,000 ANSI Lumens and these projectors can have a price tag of up to $125,000! There are other most affordable projectors but these will still be around $6,000 plus, so as you can understand these expensive hardware investments need protecting from theft, unauthorized access and Mother Nature! What happens if the projector is not protected? If you have paid $10,000 including installation for a commercial grade projector and found it stolen, what would happen as normally this type of installation is not covered under any insurance. So the initial investment is lost. With computer hacking currently happening around the world, to companies that have paid hundreds of thousands for protection, but yet they are still hacked and the servers taken over. Imagine what would happen if your computer feeding your projector was taken over and instead of displaying advertisements for your business displayed their information – which would normally be in the form of a threat to the company and this will show the company advertising is vulnerable, as well as being very embarrassing. You have invested $10,000 in your outdoor marketing solution and if the projector and computers are not protected from the weather, water will get into the hardware and cause over a short period of time for the connections on the circuit boards to corrode and eventually fail. On the other hand if the projector is in direct sunlight the projector will over heat and close down. Theft solution – Now a ProEnc projector enclosure provides as standard theft protection – ProEnc are the ONLY Company to have high security locks fitted as standard, competitors use cheaper cam or compression locks that can be opened with a screwdriver, no key required. Unauthorized access – With the keys to a ProEnc projector housing only the key holder can access the projector, compared to the insecure cam locks. All enclosures are supplied with 2 sets of two keys as standard. Weatherproof solution – ProEnc projector cases are IP65 and NEMA 4X, to prevent water and dust ingress. Cooling and heating – each unit is supplied as standard with an air conditioning unit that is ideal for the perfect temperature inside the enclosure depending on the projector size and specification. Why a ProEnc projector enclosure. ProEnc have been tasked with many bespoke solutions when a competitor has failed to deliver or to replace a competitors unit in the field. We recently experienced a commercial customer who had been promised a lead time of 4 weeks, yet 9 weeks on there was no sign of the projector enclosure. The customer contacted ProEnc and we supplied a unit in under 2 weeks, the customer cancelled the order on the original supplier as they had not even replied to phone or email messages. If you want the best, speak to ProEnc on (862) 234-5981 to discuss your projector enclosure requirements.